The guys at GizmoProject launched recently a new service. 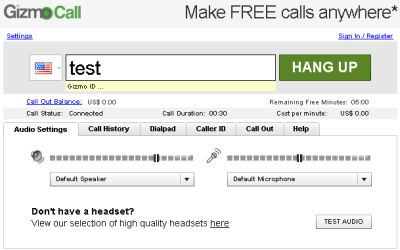 Named GizmoCall, the new service allows you to make phone calls directly from your web browser. It is not a web activate phone service like Jajah – but a pure SIP softphone implementation with a Flash interface.